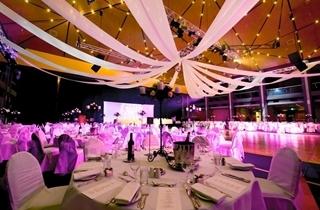 Dedicated event planners, award winning catering and the latest presentation technology ensure a memorable event every time. 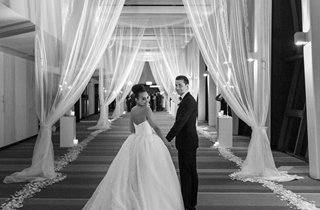 The Plaza Ballroom, Boulevard Room and Sky Room & Terrace, all with spacious foyers, provide the perfect venues for your wedding event. 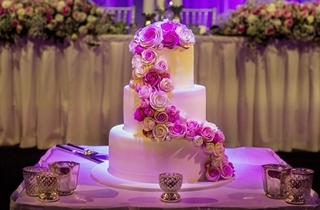 Our creative culinary talents, first class service and expert event production make for a very special occasion. 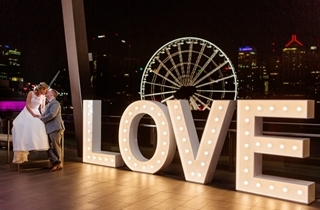 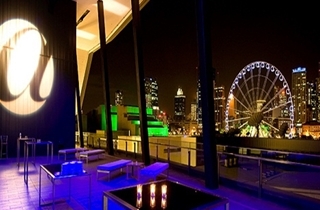 The Sky Room sets glamorous new standards for Brisbane wedding venues with its panoramic city and skyline views. 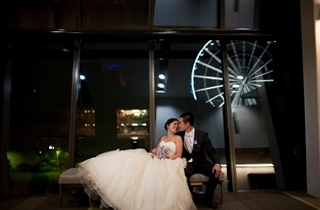 The Sky Room will help you to create long lasting memories of your wedding. 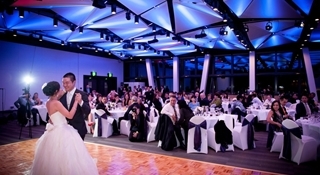 If you’re looking for a space with the perfect ambience to hold an unforgettable wedding reception, the Sky Room is the right venue for you. 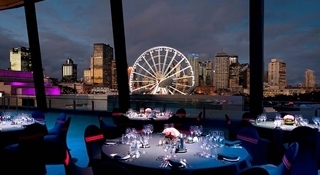 Catering for 80-150 banquet style and 300 in cocktail mode. 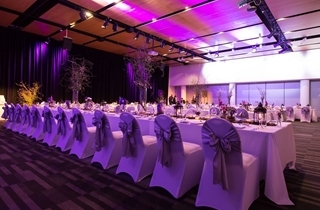 Views to the river, overlooking the vibrant arts and entertainment precinct with private bar and terrace, the Boulevard Room provides a stunning reception space. 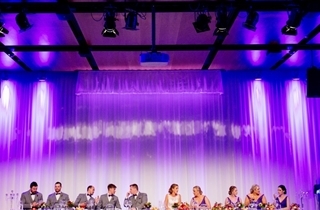 Hold your wedding beneath an intricately-designed LED canopy and a kaleidoscope of lights for the wow factor! 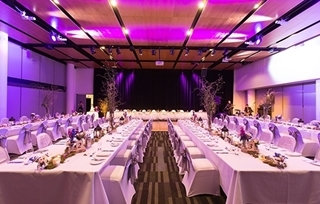 Catering for 150-300 banquet style and 600 in cocktail mode. 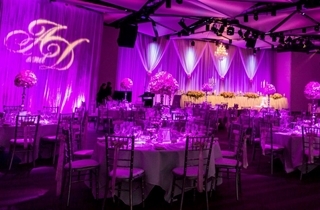 The Centre’s premier gala event space with star lit ceiling. 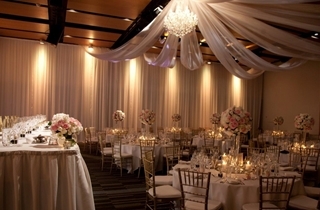 This flexible space can be tailored to your needs creating an atmosphere your wedding guests will envy. 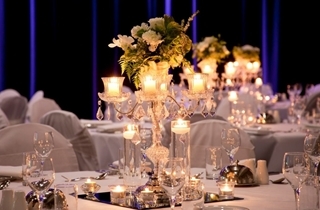 Caters for 500-1000 banquet style and 2000 in cocktail mode. 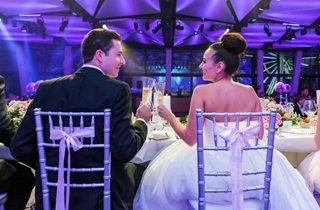 2 course sit down menu with selection of canapes, entree, main course, wedding cake plated as dessert and a 5 hour beverage package. 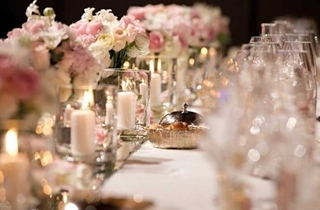 3 course sit down menu with selection of canapes, entree, main course, dessert, wedding cake servered on platters and a 5 hour beverage package. 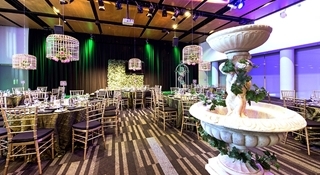 Standup cocktail package including selection of canapes, hot food stations, cheese station, dessert station, tea and coffee, and a 5 hour beverage package.